What Are The Different Ways You Can Take CBD? One of the greatest things about CBD Is just how versatile it really is! CBD is exploding in popularity across the United States and around the world with more people seeking natural remedies for many common conditions. CBD or cannabidiol is sourced from both the cannabis and hemp plants, but most CBD products are produced entirely from industrial hemp plants. The great thing about CBD products which are sourced from industrial hemp plants is that they contain almost no THC, or less than 0.3% THC which makes them completely legal across all 50 states and many countries around the world. CBD is found in the hemp seeds,and through a complicated and technical extraction process, the CBD is refined from the seeds. If you’re looking to try CBD products for yourself, then it’s important that you buy your premium CBD products from a reputable company like cbdMD. They utilize premium hemp and high-quality extraction methods to ensure that all their CBD products undergo strict quality control processes and you receive only the best CBD supplements, CBD oils, CBD tinctures, CBD gummies,andCBD bath bombs. One of the most attractive things about CBD, apart from the fact it’s 100% natural and has no negative side-effects like many pharmaceutical medications, is that it’s extremely versatile. You aren’t restricted to just one delivery method,and for many people, they can incorporate CBD into their regular lives without even really noticing. What Are Some Of The Different Ways That You Can Take CBD? As we mentioned above, CBD is extremely versatile. With so many different delivery methods, we’re sure that you’ll be able to find one which suits your lifestyle and personality. Below are some of the different ways you can take CBD! CBD Vape Oil – If you enjoy vaping, then you’ll be able to combine it with delicious CBD Vape Oil. The great thing about CBD Vape Oil is how rapidly it’s absorbed through the lungs and into your bloodstream. You can choose from different flavors,or if you prefer no flavor, then you can vape with natural CBD Vape Oil. CBD Tincture Drops – If you don’t like the idea of vaping, then delicious CBD Tincture Drops could be more down your alley. There are different flavors to choose from,and you can add them to drinks or drop them straight into your mouth. 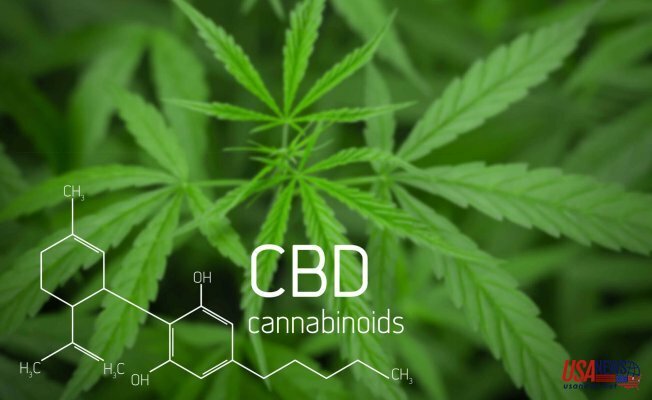 CBD Oil Capsules – If the idea of drops or vaping CBD doesn’t appeal to you, then maybe CBD Oil Capsules will be better suited to you. You can simply take a CBD Oil Capsule,and that’s it! No mess and no fuss. CBD Gummies – If you like the idea of chewing on a yummy gummy, then CBD Gummies might be the best option for you. CBD gummies contain measured amounts of CBD and are a discreet way to get your daily dosage of CBD. CBD Topicals – If you want to apply CBD directly to affected areas, then CBD Topicals are a great solution. You can choose CBD for inflammation, CBD moisturizer and CBD freeze sprays for pain relief. CBD Bath Bombs – If your idea of a great time is relaxing in a warm and luxurious bubble bath, then CBD Bath Bombs should be right up your alley!